This vintage photo album is handmade by Kitaken. It’s modern design is perfect for stylish weddings and special occasions. The waves pattern is very popular in Japan. This photo album or guest book is perfect as a wedding gift or anniversaries. This guestbook can be used as a photo album and is an idea wedding gift. 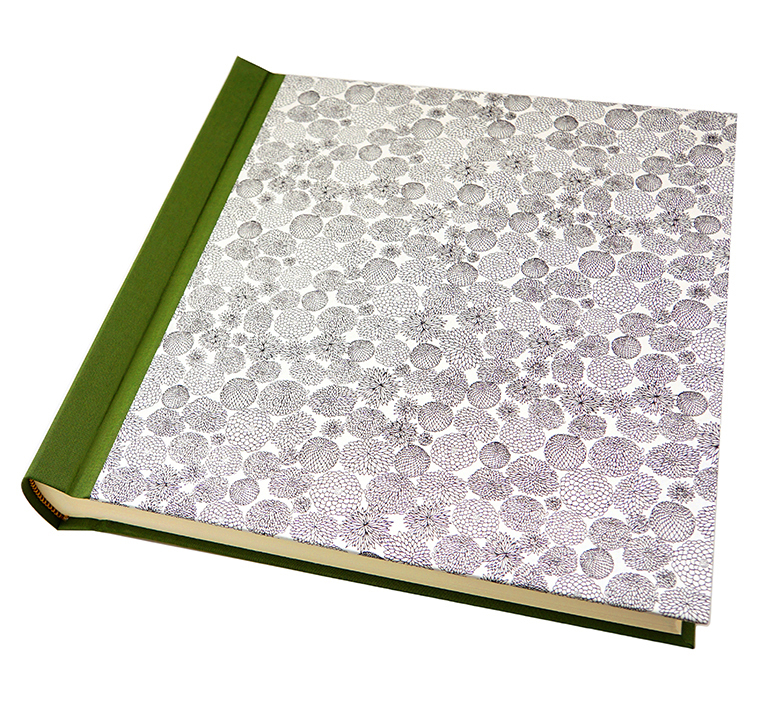 Make your own photo album and choose from a variety of exquisite Kitaken Japanese papers. This beautiful wedding album can be personlised with the couple’s name and date of celebration. Baby albums are a perfect way to store your treasured photos of the little one growing up. Wedding gifts can be sometimes to find. Search no longer with this gorgeous handmade album by Kitaken. Photo albums made from the highest quality paper from Japan. Guestbooks and photo albums by Kitaken are all customisable. Polaroids, digital prints, art prints can all be stored in this beautifully handmade album by Kitaken. Gorgeous photo book by Kitaken, suitable for any occasion. Scrapbooks can be the best way to show off your creativity. Contact us now to customise your own album today. A photo album as a wedding gift is the best present one can give. Contact us and have yours personalised today. Photo album made from exquisite Japanese paper and handbound by Kitaken. Whether used as a guestbook or a simple but beautiful photo album, this vintage Kitaken album complements any collection of photography. This Japanese photo album is handmade by Kitaken and is perfect for anniversaries, communions and any other great celebration. Order yours today. Store your best photos in this handmade beauty by Kitaken. A traditional photo album made from Japanese paper is a real eye-catcher. Searching for the best wedding present? 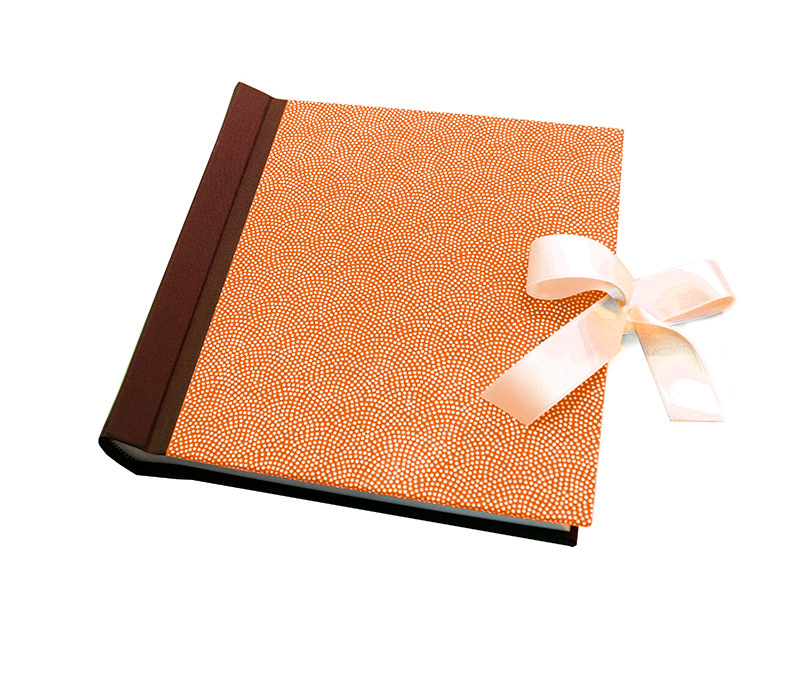 Look no further: the Hana photo album can be used as a guestbook or standard photo album. The inside is made from thick, acid-free cardstock. A unique photo album with an image of a lone tree. The minimalistic design is perfect for those in search of a sleek, modern photo album to store artistic photography. The album can also be personalised. Contact us today! The classic photo album Saku can be customised with different colours for that extra personalised touch. Designer photo album made from high quality katazome paper from Japan. 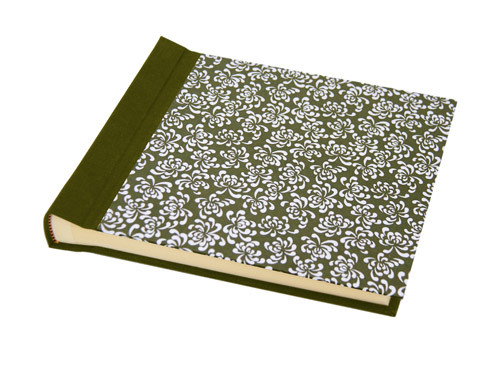 Beautiful vintage photo album handmade from discontinued chiyogami paper from Kyoto. Baby shower photos can be stored in this wonderful photo album by Kitaken. The inside is made of thick, acid-free cardstock paper to ensure a long life to all of your treasured memories. Photo albums are the ideal gift for anyone who wants to document wonderful moments. Guestbooks by Kitaken all have glassine interleaves separating the sheets to ensure long life of your photos. Whether it’s used as a standard photo album or guestbook, the Hanami album is the gift that everyone is waiting for. Gorgeous wedding album: Continue the celebration every day and order a Hanami Crème photo album to look back on your most special day. Guestbooks by Kitaken can also be used as a photo album or scrapbook and consist of high quality, heavy, durable cardstock. All Kitaken personalised photo albums are handmade and can be used as a classic photo book, scrapbook or guestbook. The larger album formats are ideal for weddings, baby showers and similar festive occasions. Since each album is made to order as a unique product, there are numerous possibilities to personalise a dream album according to your own taste. Kitaken albums are perfect as a special gift with an extremely personal touch. Wedding albums are a great gift and can be enjoyed year after year. Why not choose a personalised photo album like the very popular personalised Sakura photo album? Personalised Wedding Album Hanami Créme. Personalised photo album with linen plaque (name plate). The measurements refer to the inside dimensions of the albums and describe the actual usable area. A visual overview of all available formats can be downloaded here. Kitaken uses only the very best quality materials from Japan and Europe. When designing the front cover you have a choice of two different collections: "Washi" and "Wabi-Sabi": The covers of the Washi-series are covered with high-quality Japanese paper (Chiyogami and Katazome) printed in historical technique and traditional motifs, which I import from Kyoto. "Chiyo" meaning "1000 generations", indicates the durability of the paper, which is just as robust as it is beautiful. The second collection is the Wabi-Sabi-Series: These albums are covered with a natural linen fabric, which I handprint with one of my many Kitaken designs. Kitaken designs are based on my photographs and drawings and are in the tradition of the Wabi-Sabi aesthetic. The back and spine of the albums of both design collections are covered with a fine but sturdy bookcloth from German production. The block of the albums and guestbooks are made of high-quality ivory paper, which comes directly from Milano, Italy. It captivates with its simple elegance, value-adding haptics and is also acid-free, which protects your precious photographs from fading. All albums and guestbooks come with glassine (pergamin) interleaves. 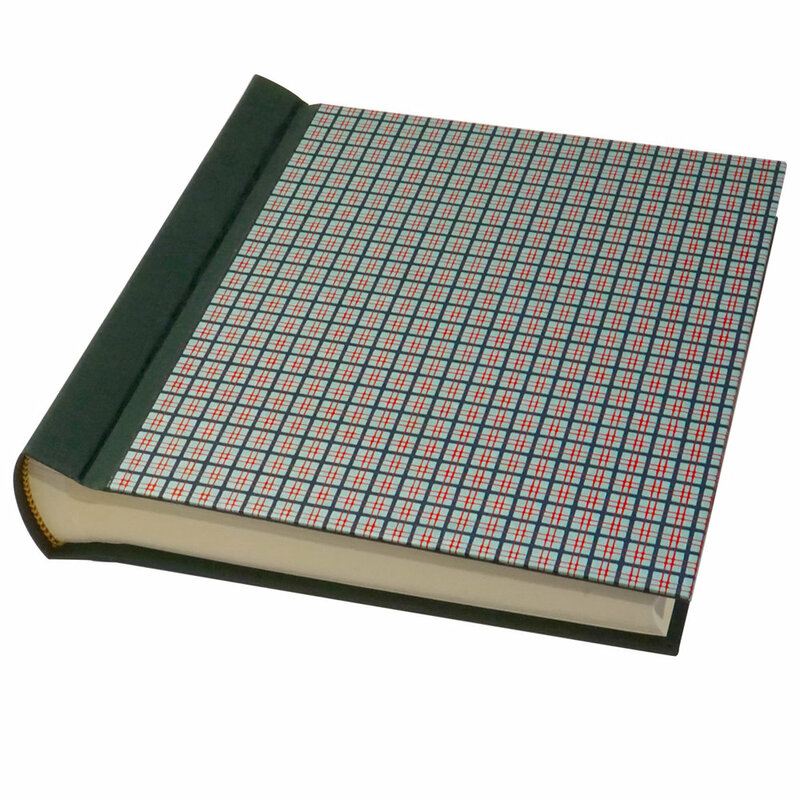 These glassine sheets protect your photographs as well as serving as an ink protectant, to prevent your writings from staining on the opposite page. All albums and books can optionally be provided with a smooth, cream-coloured satin ribbon bow, with which the album can be tied. A swatch list of my exquisite Japanese papers, cover designs and bookcloths can be downloaded here. In addition to the possibility of selecting the format and cover materials of the albums and guestbooks, there are other options to make your album even more unique. All covers can be personalised with a name or a short text (also in Japanese Katakana characters). For this purpose a personalised linen plaque is embossed directly into the cover. It is even possible to order an album with your own cover design. For this, your own design must have good printing properties and can be provided in high resolution. Such requests can be made via the contact form. 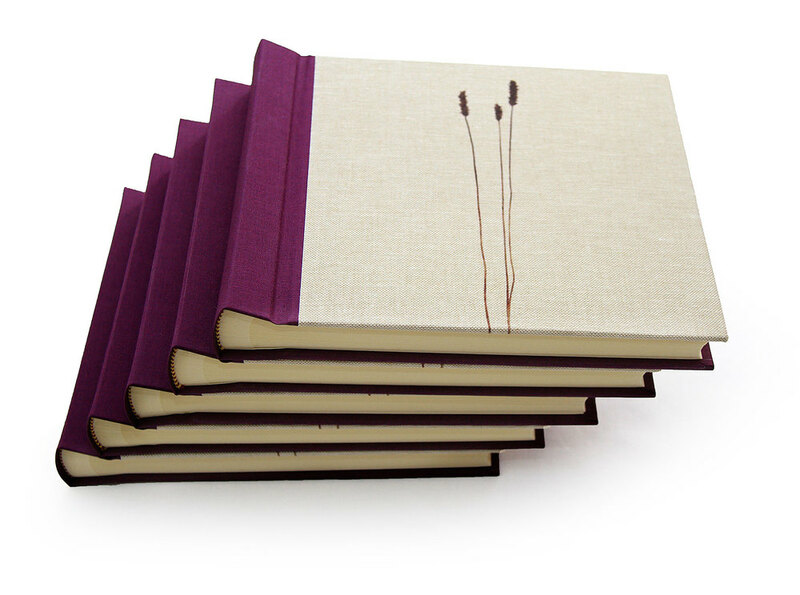 Albums from the Wabi-Sabi series, are printed on natural linen and personalisations are directly printed onto the cover (as shown directly to the right). There are two ways to purchase an album or guestbook from my collection: First of all, existing designs can be easily purchased in my online shop. If your desired album is not shown in my shop, you can choose your own cover and bookcloth colour by downloading my swatch list here. You can then send me an order request via custom request for a price quote. The contact form can also be used for larger orders, or if you are interested in a professional cooperation (dealers, shops, photographers, etc.). Shipping costs apply only once if ordering several products. The information for the item with the highest individual shipping costs is decisive.